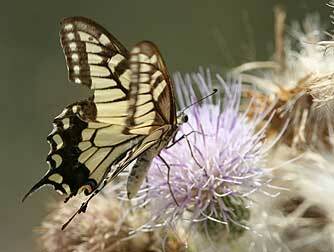 Northwest entomologists lobbied to have Papilio oregonius designated the official Oregon State Insect in 1979, the same year this strikingly beautiful yellow butterfly was printed on a U.S. postage stamp-- and the Oregon legislature approved. 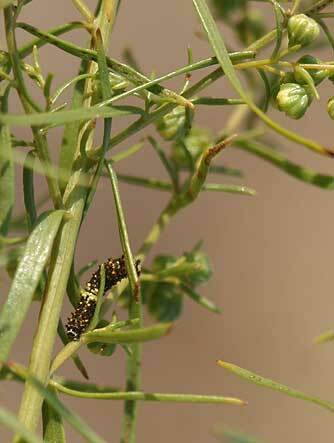 As a native of the Northwest, the Oregon swallowtail lives in the sagebrush canyons of the Columbia River and its tributaries, where its artemisia hostplant grows. 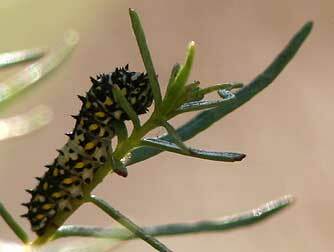 Oregon swallowtail butterflies (Papilio oregonius) have adapted to rely on dragon wormwood or wild tarragon (Artemisia dracunculus) as the host plants for their caterpillars, while adult butterflies sustain themsleves on nectar from thistles, purple sage, balsamroot, phlox and other flowers. Oregon swallowtail wings look like those of anise swallowtail but tend to be more stretched out, and Oregon's caudal orange spot has a black pupil squished up against its outer rim, not round and centered as with anise swallowtails. 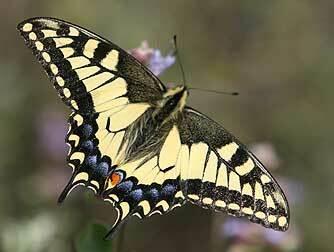 The Oregon swallowtail also has a yellow body with black stripes rather than a black body with yellow stripes. 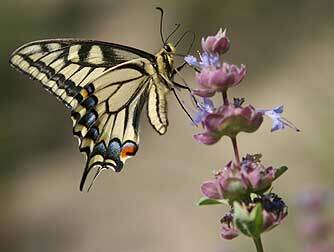 Wingspan is 2-1/2 to 4 inches. 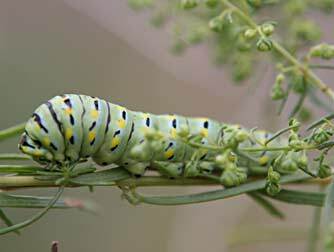 Oregon swallowtail may also be known as old world swallowtail, Baird's swallowtail, artemisia swallowtail, or Papilio Machaon ssp. oregonius. These photos were taken in mid-May and late August.